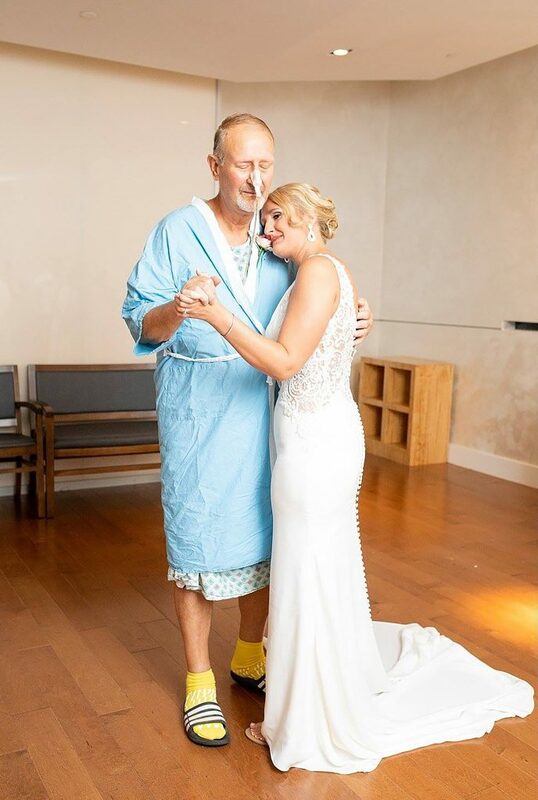 After her father was hospitalised just weeks before her wedding day, this bride detoured from her ceremony to revel in her wedding day dance ‘dream’. 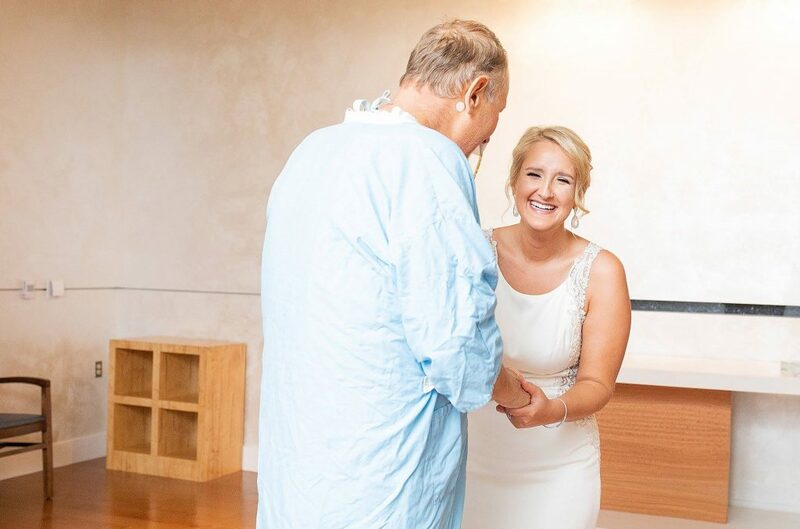 Though Janae Hauger’s vision of what her dream big day would look like has changed multiple times over the years, one feature remained unchanged – the fact that she’d dance with her father to their favourite song. Set to wed on August 11 in Ridgewood, Ohio, the 23-year-old’s reverie was quickly thrown into doubt when her father, Steve Price, 59, suddenly began complaining of crippling stomach pains just weeks before her wedding. Rushed into the hospital on July 16, Steve was soon diagnosed with a severe case of pancreatitis and he remained in the care of the Ohio State University Wexner Medical Center, for several weeks. However, after suffering a number of setbacks, just three days before he was set to walk his daughter down the aisle, doctors told Steve he was too ill to attend. Heartbroken, Steve put on a brave face for his daughter, but Janae wasn’t willing to jeopardise her dream – she was determined to dance with her father, any way she could. Just hours after the devastating news, Janae and the rest of her family hatched a plan to do exactly that. Wheeled into the hospital chapel on August 11, Stevie instantly burst into tears as he turns the corner to see his daughter clad in white, with Darius Rucker’s ‘It Won’t Be Like This For Long’ playing in the background. Visibly shaking from emotion, Janae encourages Steve to his feet, where the pair gently sway along to the music, as they’ always planned to do. Still struggling to comprehend the emotions of the moment, Janae said: “We had spoken about the moment of him walking me down the aisle for years – [and] of course, dancing with my dad was always a dream moment for me. “I was completely heartbroken when the doctors gave us the news. 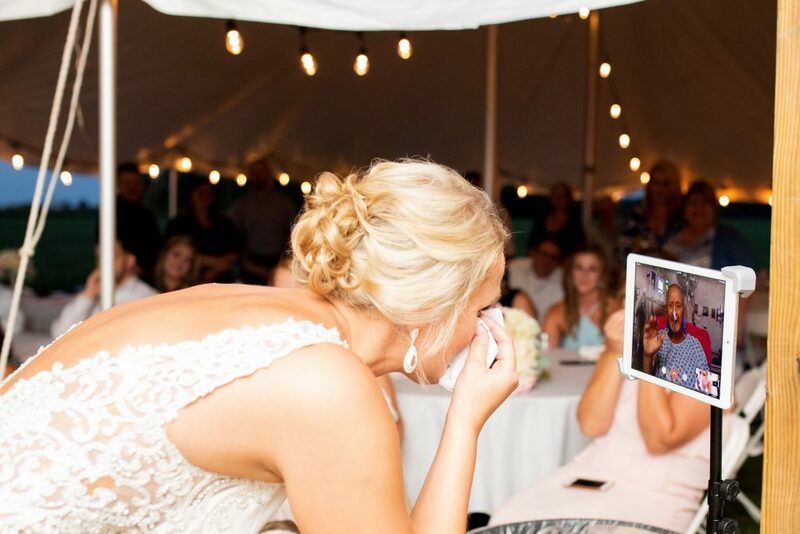 “I knew I had to dance with my dad on my wedding day, no matter what. “The nurses worked with us and told him he was going for an X-ray. “But really I was standing in my wedding gown in the chapel, with my three sisters, brother and mom. 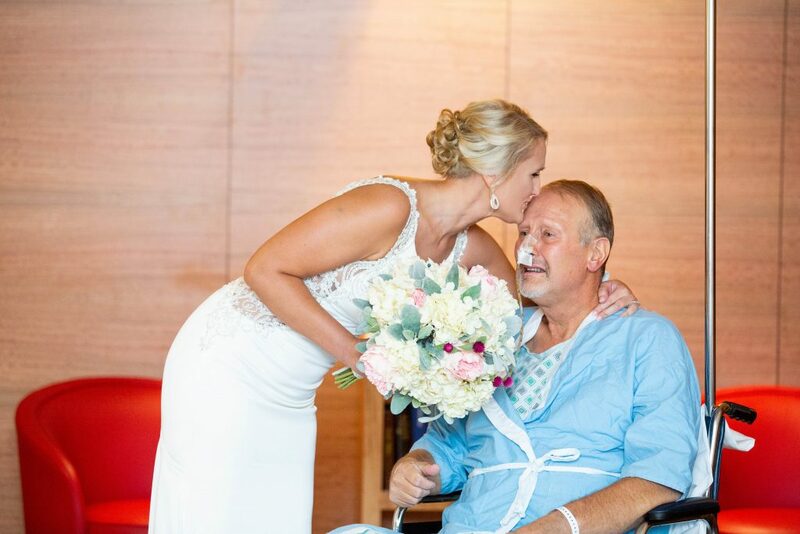 “I honestly cannot put into words the emotion that was in that room the moment my dad was wheeled in the chapel. “It was a moment where no words were needed, because we all felt the love in the atmosphere. “He kept telling me how gorgeous I looked and that he couldn’t believe we were all there. “We also already had it in the works for my dad to give me away via FaceTime. “My dad was there, able to watch the entire thing – him seeing us and us seeing him.